When my mother was diagnosed with Alzheimer’s disease, I was a healthcare professional working in assisted living. I didn’t have much personal experience with dementia or first-hand knowledge of what it would be like to walk with someone on this journey. Suddenly, it became my mother’s journey and, eventually, my story as well. My sisters and I bought every book we could find about this terrible disease. “You read these three, I’ll read these four.” We felt desperate to learn as much as we could to help our mother. 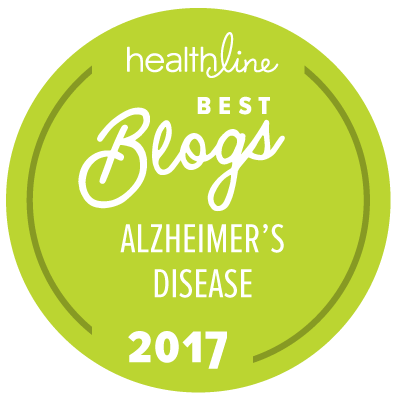 The books, along with the Alzheimer’s Association’s website and blog, were so helpful to us! I remember reading about the stages of the disease, and I could see my mother’s path in front of me. That path led us to Walk to End Alzheimer’s. How wonderful to have an actual event to share with others on this journey! Whether you’re a person living with Alzheimer’s or family members representing and supporting loved ones, Walk is a place where you connect with people who truly understand the challenge and heartbreak of this disease. You feel less alone when you realize you aren’t the only one fighting this battle. True strength in numbers! In 2010, my sister, Pam Lindsey, and I gladly volunteered to be on the publicity committee for Walk and the annual fundraising banquet. Pam documented Walk in a special video, as well as a song that I wrote for my mother and performed at the banquet. We felt it was a special way to honor her and all the other families struggling with Alzheimer’s. After going on this journey with my mother, I knew I wanted to help others who were on this same daunting path. I was grateful for the opportunity to come to work at Brookdale Senior Living’s Belle Meade location, where a true continuum of care for those with dementia is available. I’ve now joined my co-workers as part of Brookdale Senior Living’s National Walk team. I’m very proud to be part of a company that is so involved with a great cause. It’s both exciting and comforting to attend an event that renews everyone’s passion for this rapidly growing cause. Every day I remember the devastation that Alzheimer’s disease has brought to my family in losing my mother, grandmother, mother-in-law and her mother as well. I am grateful to the Alzheimer’s Association for all they do to help so many. I know my mother would be happy to know that our story helps others. I have her photo on my desk so that those I help can see the woman who inspires me to do this every day. I lead two monthly support groups to help families deal with the loss, grief and unmerited guilt that comes when they realize that they can no longer care for their loved one at home. I try to help them understand that in getting professional help, they are not doing this to their beloved, but for them. For those fighting Alzheimer’s disease, there is still a life to be lived while focusing on what they still can do, instead of what they can’t. As I remember my mother’s battle with Alzheimer’s, I remember her courage, strength and bravery which set my life on a path I could have never imagined. That path is to help as many families who struggle with the disease as I can. Her fight continues through me. About the Author: Sheila Uselton is the director of sales and marketing at Brookdale Belle Meade in Nashville, TN. Walk to End Alzheimer’s – Nashville is on October 15. How beautiful, Sheila, your words, photo, inspiration, and advocacy. Alzheimer’s is an experience that calls many to action. Thanks for all that you do! I am Blessed to know you and work alongside you each and every day. What an inspiration your story is to me and all the lives you touch on a daily basis. You are amazing, Sheila! Much love to you from your “family” at Brookdale Belle Meade! Sheila, That was the most heart felt couple of paragraphs I have read. I knew when I walked thru the first senior living community this was my calling. Passion and the need to help and assist. That is why we are here. Sheila – – I am also one that is going through this with my mother. We made the tough decision last March to put mom in a facility for alz/dementia patients. We chose what we felt was the BEST possible place for her. Yes – it is hard to know that we just could no longer give her the best care. My dad continues to struggle with her being away from him after being together for 58 years. We go see her every night as soon as I get off of work. She is about 25 minutes away from home – so a little too far for dad to travel to without me or my brother. She is getting excellent care, but it overwhelming to see how quickly and much things have changed in the last year. We used to sing together when I was growing up – so I make that an every night event if she is up to it. She doesn’t get all of the words, but she certainly still harmonizes and remembers the tunes. I can still make her smile and laugh – which is worth more money in the world to me. Thank you for sharing your story. We are trusting God to help us get through this journey with my sweet mom!!! Sheila, your story is very helpful. It helps other people who deal with this disease not to despair. You and your sisters were on the right way when bought the books about the disease because knowledge reduces stress, panic attacks and makes your mind clear. Sheila, thank you for sharing your experience and for the work you do everyday to help those with this disease. I started my own journey with my mother several years ago, and it wasn't until I was faced with caring for my mother that I realized how little I knew about Alzheimer's and the effects it would have on me and my family. I will be participating in the Alzheimer's Walk in Philadelphia in early November, and it is there I see the thousands of people who are fighting this disease together. I placed my mother in a Memory Care Facility in early August and the guilt and grief is a struggle. It's hearing stories like yours that reminds me that the care she requires at this stage is more than one person can handle, and placing her in this facility is actually an unselfish act because her welfare has to be the priority. Thank you for sharing your experience with us. It will inspire and give hope to a lot of people who have lost their loved ones to this disease. It is very noble hearted of you to organize weekly support groups. I think support groups play an important role to help people deal with this disease and its after effects. Hi Sheila, your story is very inspiring for all of us. When families face such difficult times they can look for expert home care services to alleviate the burden when dealing emotionally with the loved one with Alzheimer’s. Professional caregivers help the patient as well as families to go through the hard time easily and their services are customizable.